It's Thursday and that can only mean one thing... it's Theater Thursday! 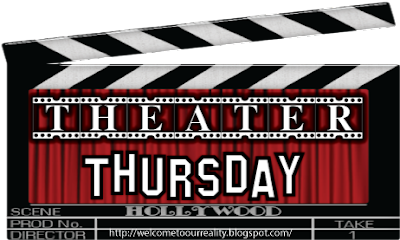 Halloween is quickly approaching so this week brings another Halloween themed movie. This week's featured movie is... Casper. 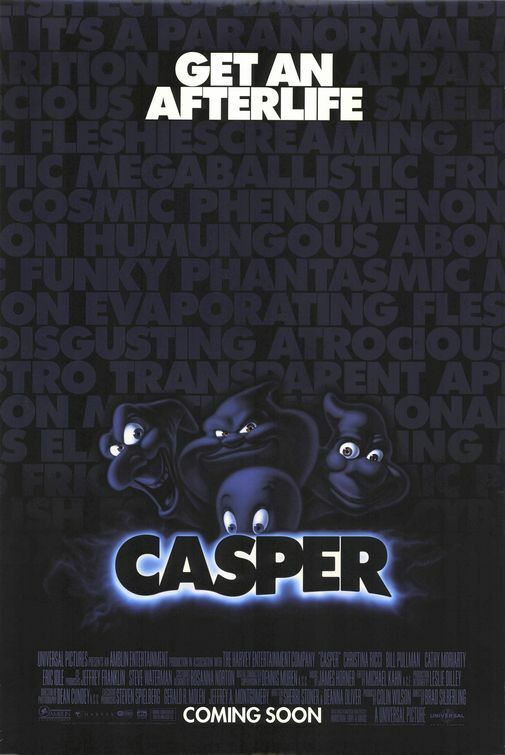 Casper hit the big screen in 1995 and won the hearts of everyone. Casper the friendly ghost meets Kat (Christina Ricci) when her father, James (Bill Pullman) a paranormal therapist brings her along while he goes to the Whipstaff Mansion to investigate the reports of haunting. Once they arrive at the mansion a trio of ghosts (Casper's uncles) decide to try and scare them off but James refuses to leave so him and Kat move into the mansion. Kat having to move around a lot since the death of her mother she's use to having to try to make new friends. Kat goes to her a new school and begins to become popular because of her place of residence. Back at home, Casper makes himself known to Kat and they begin being friends. Casper starts to really care for Kat while his trio of ghostly uncles decide they want her father James to join them in their ghostly trio. Watch this classic Halloween film. It's family friendly! Now this looks like a scary movie I could handle! Glad you mentioned it.